Your dramatic entrance will be captivating wearing the Emporio Armani™ Cubed Glitter Heeled Sandal. Smooth leather upper with sparkling glitter overlay. Open-toe silhouette with slender strap decorated with sparkling glitter. 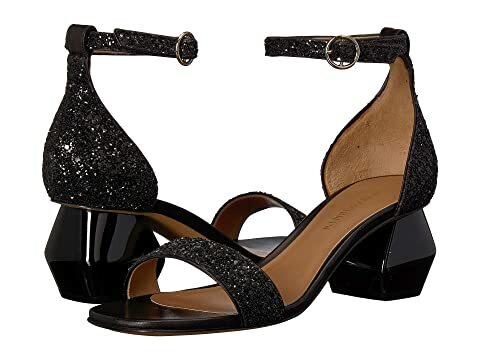 We can't currently find any similar items for the Cubed Glitter Heeled Sandal by Emporio Armani. Sorry!